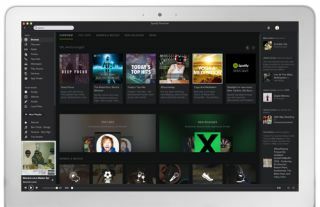 Spotify Premium wins our 2011 Readers' Award | What Hi-Fi? When we asked the readers of this magazine – and the users of whathifi.com – to nominate their favourite audio-visual product, service or app, we expected to be inundated with a wide variety of choices. And we weren’t disappointed. Given that everyone has a different system, needs and personal preferences, no fewer than 70 items were put forward on the whathifi.com forums. Five, however, emerged as clear favourites: Apple AirPlay, Spotify Premium, LoveFilm, Rega’s DAC and Audiolab’s 8200CDQ. It seems the ground-breaking music streaming service has captured your imagination, and opened up a whole new world of music to many. Spotify’s simple integration with mobile devices and streaming systems such as Sonos and Apple AirPlay has brought it into the mainstream, making it hugely popular. on Spotify Premium. And now you can even share music on Spotify with your friends on Facebook. All of which makes Spotify a worthy winner of our 2011 Readers’ Award.